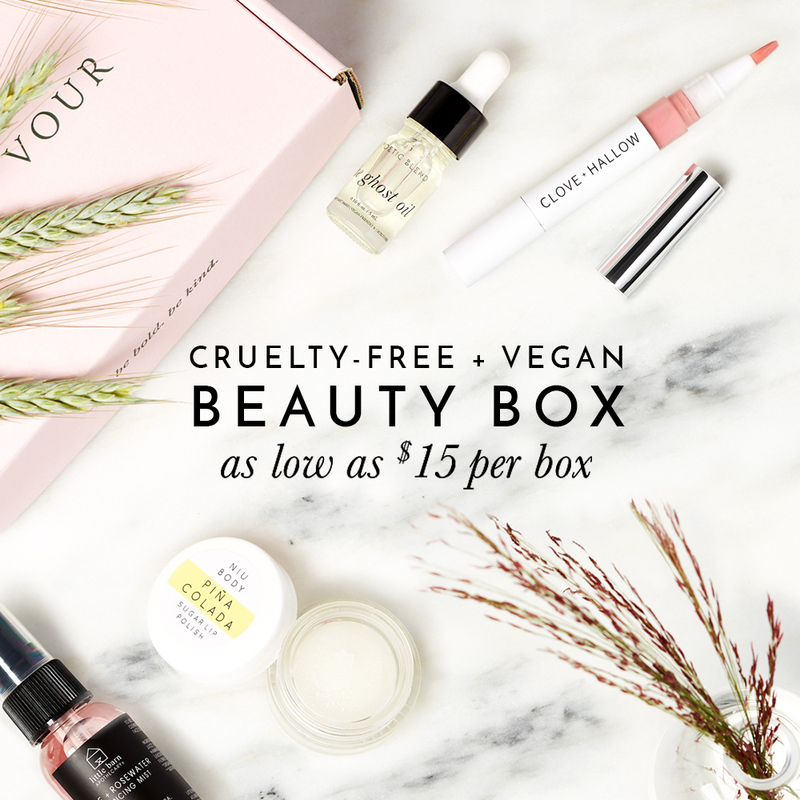 There seems to be a lot going on in the cruelty-free beauty community and to make sure you’re not missing out, I thought I’d start doing a round-up at the end of every month! The Body Shop introduces Vegan makeup options! Household Cleaning Brand, Method is No Longer Cruelty-Free! Method has been the go-to cruelty-free and vegan household cleaning option for many caring consumers (myself included) because their products were affordable and accessible. So it was a huge disappointment to hear that Method and their parent company, Ecover are sadly partaking on daphnia testing (testing on water fleas). Both Method and Ecover remain to be Leaping Bunny/BUAV certified as they do not consider daphnia to be the same as animal testing. Kat Von D Soon To Be 100% Vegan! Despite all the controversy going on with Kat Von D and Jeffree Star… I’m still a huge fan of Kat Von D Beauty and was delighted to hear they were planning on reformulating all of their beauty products to be 100% Vegan!! And Kat Von D herself is totally coming through on that promise because she recently posted on her Instagram that they’ve successfully reformulated one of the shades in the Shade+Light Contour Palette! The Body Shop has been around for years and they were known as being a cruelty-free brand from the start. Whether or not you consider The Body Shop to be cruelty-free after they were acquired by L’Oreal (a company that continues to test on animals till this day), I still think it’s great news to hear that they will be launching a handful of vegan-friendly makeup! They’re starting off with a vegan 8 shade eyeshadow palette! I’m hoping this will pave the way for more vegan products from The Body Shop and who knows, maybe they’ll reformulate their entire range of products to be vegan sooner rather than later! Urban Decay Opening Up Their First Canadian Store! Urban Decay will be opening their first Canadian freestanding store at Metropolis at Metrotown in Burnaby, BC! That’s only a 15 minute drive from my house! Urban Decay is certified cruelty-free by Leaping Bunny and even after the brand was acquired by L’Oreal in 2012… Urban Decay has promised that they would not sell any of their products in mainland China because of the local laws that require animal testing. I’m super stoked to hear the news that Urban Decay is doing so well because hopefully it’ll show L’Oreal that there is a demand for cruelty-free (and even vegan-friendly!) products. That way, L’Oreal may even be inspired to go cruelty-free in the near future! Clear Conscience has launched the first ever cruelty-free eye drops! For those of you who don’t wear contact lens or suffer from dry or red eyes.. you’re all probably wondering, What’s the big deal?! It certainly IS a big deal!! There’s virtually ZERO cruelty-free options available on the market that offer relief or solutions for anything that goes into our eyes. So to see Clear Conscience expand their product line to include eye drops for people who don’t wear contact lens is sort of a big deal around here! Their new “Redness Reliever Eye Drops” and “Lubricant Eye Drops” are FDA approved, yet safety tested without the use of animals. Where to Shop for Vegan Shoes?! Thank you, the article is great. Celebrities can lead more people into veganism and cruelty-free lifestyle in general.